My father was seriously wounded in World War II and overcame significant physical challenges to lead a productive career and be a fantastic husband and father. He taught me to never give up. I bring that life lesson to my work for clients. I focus on their objectives and work tenaciously to achieve the best possible outcome. 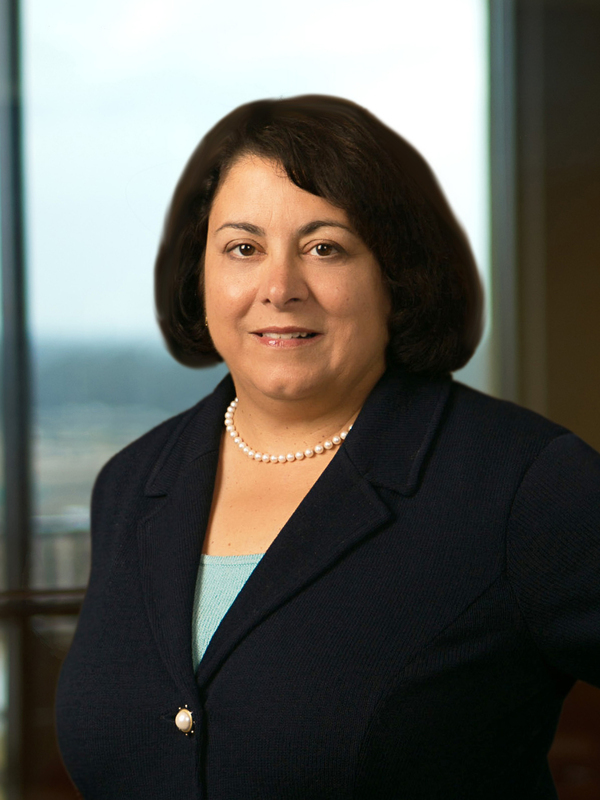 Susan E. Mack has a national practice advising life, health and property/casualty insurers, brokers, general agents and administrators on insurance regulatory and other legal issues. Skilled in corporate governance, she advises on forming and licensing new insurers and on insurance-related deals. A veteran of more than 70 alternative dispute resolution proceedings, she has worked both as a party-appointed and neutral arbitrator to conclude financial services disputes. With 25 years’ experience as general counsel to insurance and reinsurance companies and having served as chief claims officer and chief contracts officer to these companies, Susan brings a practical perspective to the resolution of her clients’ insurance-related issues. She has substantial experience addressing insurance and corporate compliance concerns, having served as chief compliance officer in both the life/health and property/casualty contexts. She is experienced in negotiating with the Florida Office of Insurance Regulation and other state insurance departments, and her insurance regulatory practice centers around resolving issues that hinder insurance entities’ present business operations and future success. She also counsels insurance and other business entities regarding abandoned property, enterprise risk management, cybersecurity issues, data privacy and internal investigations. Noted for her experience in insurance and reinsurance arbitration, Susan was one of the founders of ARIAS-US, a premier insurance and reinsurance arbitration society. She continues to be appointed frequently as an insurance industry arbitration panelist and expert witness. From ARIAS-US, she holds certification as an arbitrator and the advanced credential of certified umpire. She is a qualified mediator with ARIAS-US. She is also credentialed as a commercial arbitrator by the American Arbitration Association. Susan has delivered more than 60 presentations on issues ranging from complex reinsurance claims, aggregation, occurrence, and allocation to annuity reinsurance and life securitization. Maintaining close ties to the Jacksonville corporate counsel community, Susan is a co-founder and past president of the North Florida Chapter of the Association of Corporate Counsel. In the community, she is a director of the Seamark Ranch residential facility for children and is a graduate of Leadership Jacksonville. As to the insurance industry, she is the former chair of the American Council of Life Insurers’ reinsurance committee as well as co-founder and former chair of the life committee of the Reinsurance Association of America. She is a former director and present member of the Association of Life Insurance Counsel, a group of life/health senior counsel and their retained counsel. She is a member of the Journal of Reinsurance’s industry advisory board. She serves on the ethics committee of ARIAS US. She is a member of the Jacksonville Women’s Network. She is a Board Member of Seamark Ranch. Concluding insurer stock and asset acquisitions, insurer affiliations and joint ventures and forming and licensing new insurers, including assisting her corporate clients with necessary integration efforts. Assessing and mitigating cyber-security exposures and evaluating technology contracts to assist clients with their in-house and outsourced technology solutions. Serving as a corporate governance advisor to organizations needing such assistance.